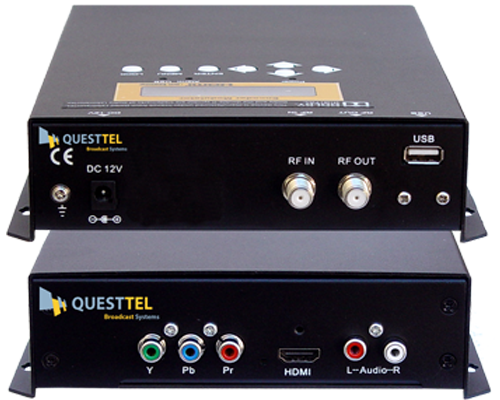 QuestTel's SDI QAM Modulator series is a reliable solution for live video applications and high-end video systems. 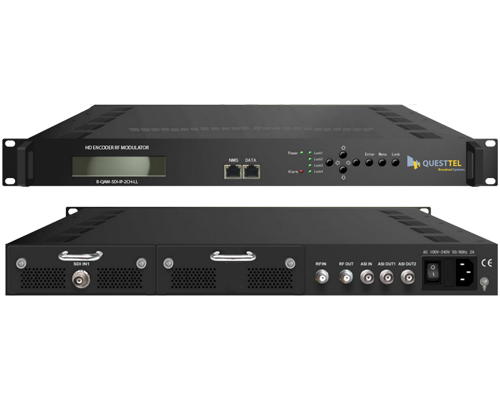 B-QAM-SDI-IP-1CH-LL integrates hardware encoder module and professional RF QAM (ATSC/DVB-T Optional) modulator chassis into a single box, allowing you to broadcast video on the web and distribute it over cable TV network simultaneously. 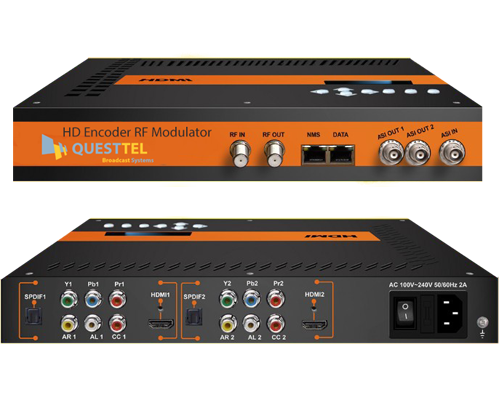 Encoder module is specially designed to deliver superior image quality and stable performance, the module supports both MPEG-2 and H.264 codecs as well any resolution up to 1080p@60 (3G-SDI). Modular architecture of the unit allows us to install different video input cards ranging from SDI to HDMI, YPbPr and CVBS. 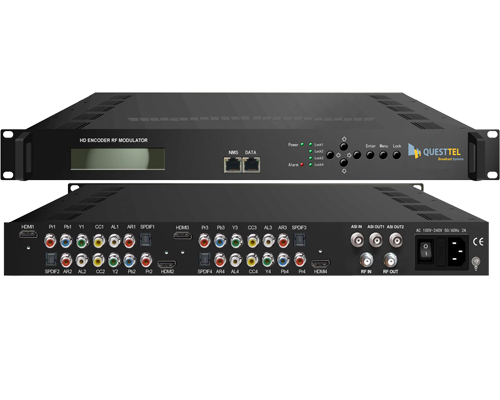 Our modulators comply with all modern broadcast technologies and provide a great support for different video inputs such as SDI (HDMI available) and ASI. B-QAM-SDI-IP-1CH-LL is a good choice for any broadband company since our systems are fully complaint with all strict broadcasting standards and support closed captioning 608 / 708 as well as AC3 audio. 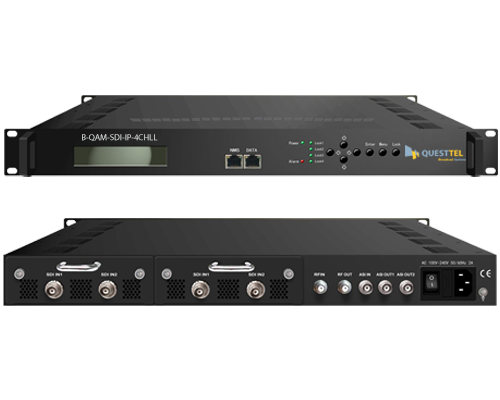 B-QAM-SDI-IP-1CH-LL is also equipped with two ASI outputs, which increase scalability of your AV system. Management made easy with integrated network management system, which allows you to control the unit remotely via web browser. 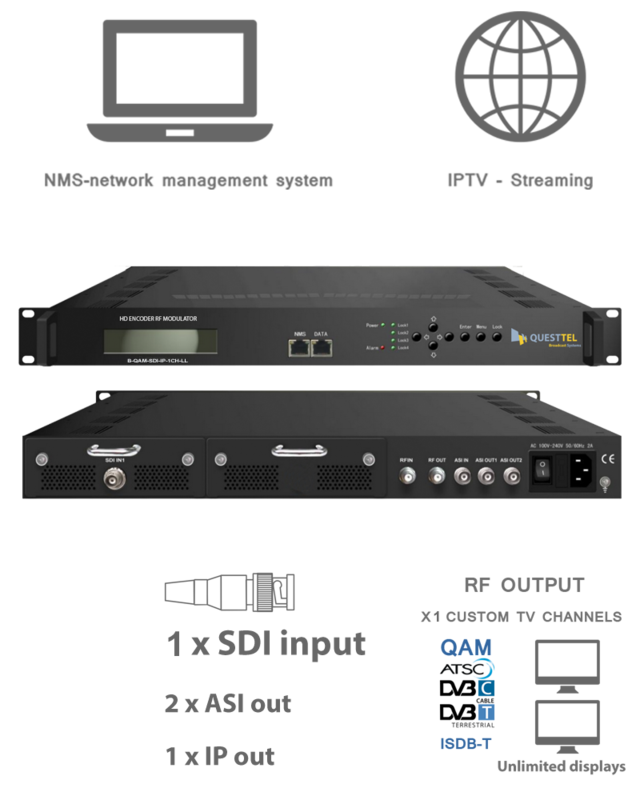 B-QAM-SDI-IP-1CH-LL is engineered for cable TV signal distribution over existing coaxial cables to unlimited number of TVs as well as IPTV broadcasting over UDP, RTP/RTSP. 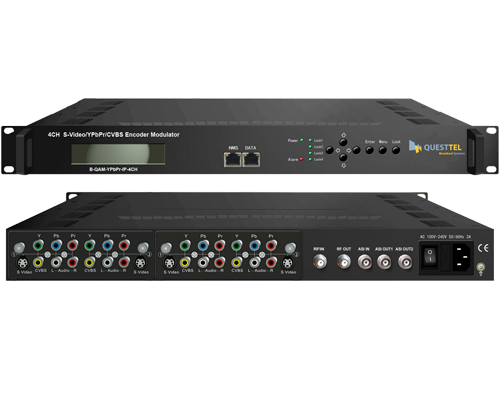 Overall B-QAM-SDI-IP-1CH-LL has all advanced broadcasting features and provides great support for HD video inputs, while performing high quality encoding and solid modulation.